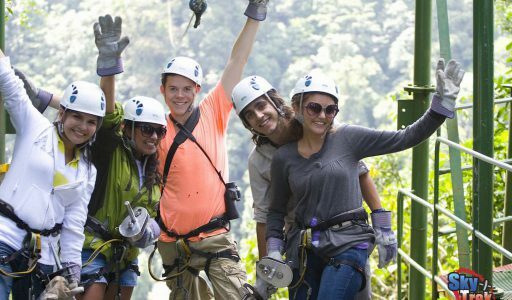 The heady combination of the Hot Spring and Arenal Sky Adventure Tour will give you an amazing and unforgettable experience in Costa Rica. 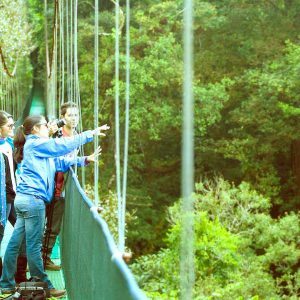 For this this tour we will pick you up at 6am and will stop for breakfast on the way and give you time to take some fantastic photos. 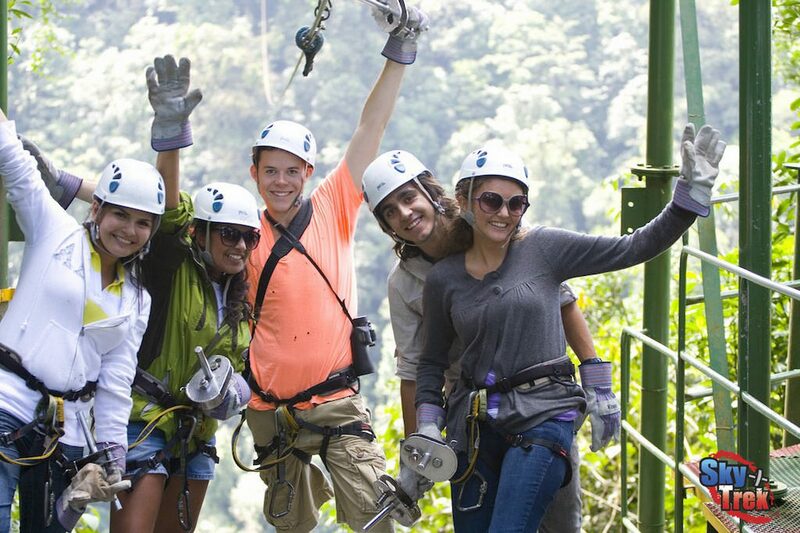 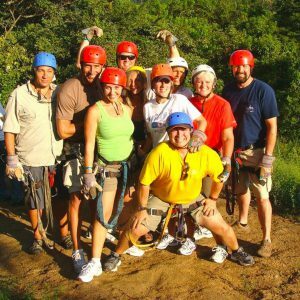 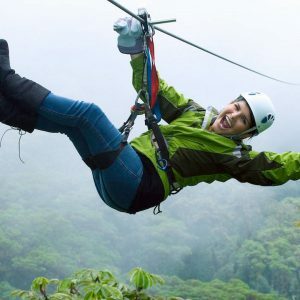 This tour includes a zip along the 1.2 mile Sky Tram which takes you above the rain forest and the Sky Trek which boasts the 7 most thrilling zip lines in the country. 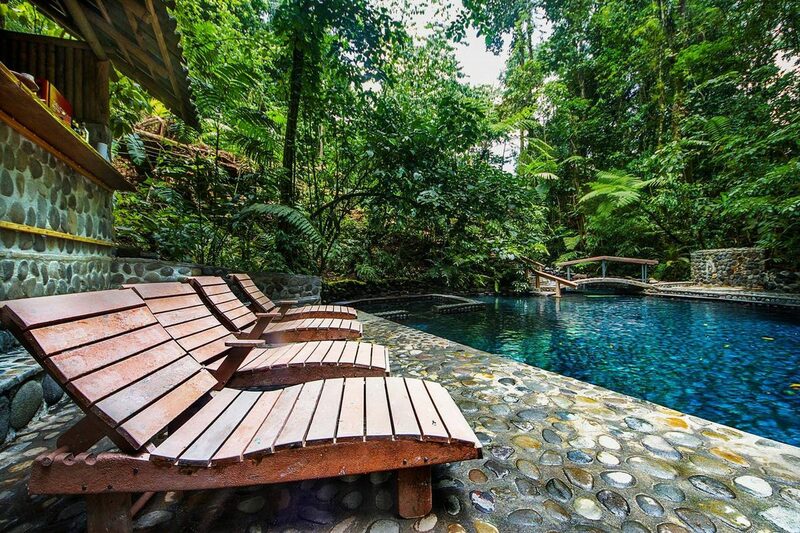 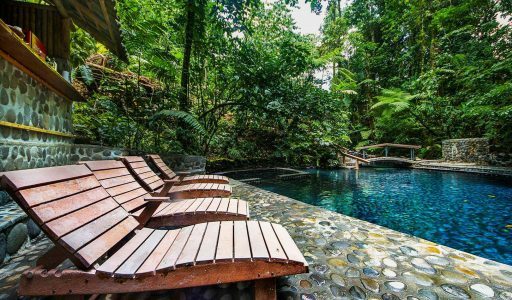 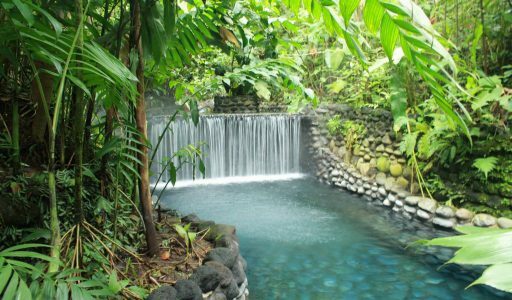 After all that excitement you will get the chance to relax in the hot springs of the Tabacon Grand Spa. 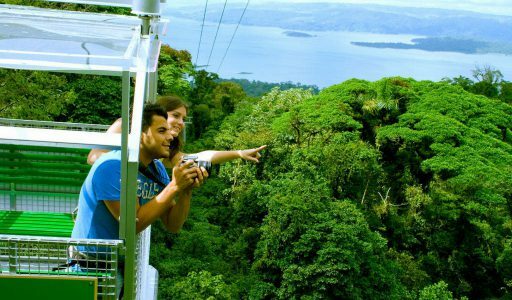 This tour is designed for all ages from 8 years old and the first activity is the Sky Tram, which consist of 3 gondolas suspended by cables which will carry you to the first platform of Arenal Reserve, The journey in the Sky Tram takes around 20 minutes with the possibility of of a few short stops that will be supplemented with local information courtesy of an expert naturalist guide. 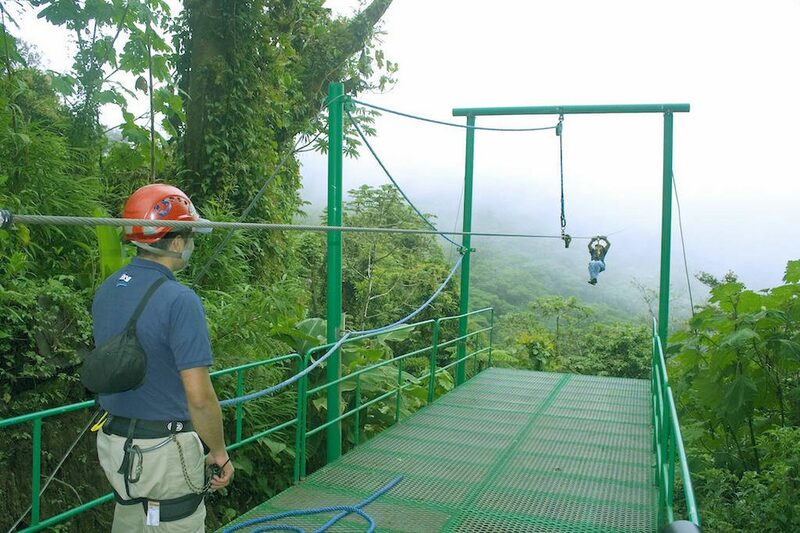 The Second activity is the Sky Trek which consist of a series of zip lines, including 7 cables varying in length from 100 to 2460ft. 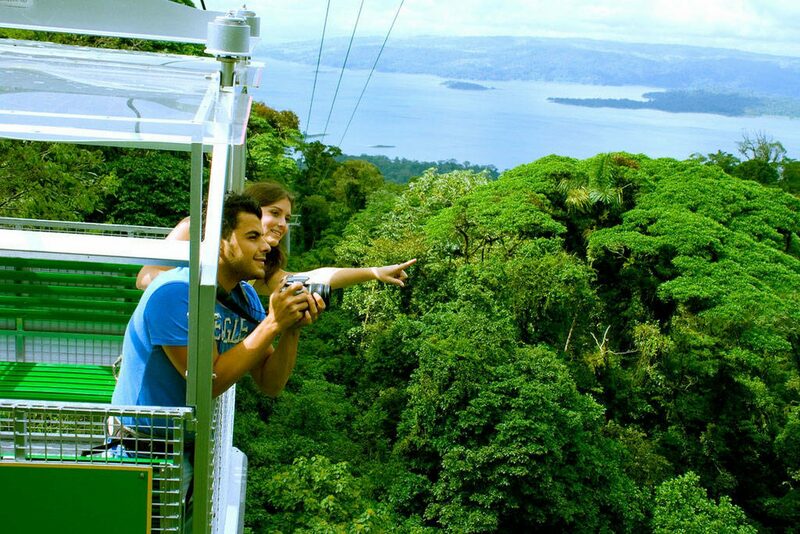 With a maximum height of 660 feet, these provide a panoramic view of the Arenal Volcano and Lake. 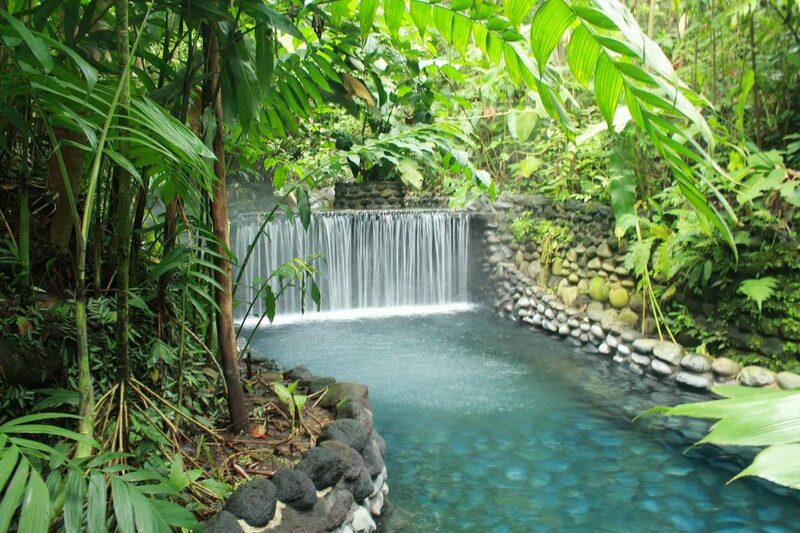 After this extreme experience we will head off to Tabacon Grand Spa for relaxation in the hot springs and lunch. 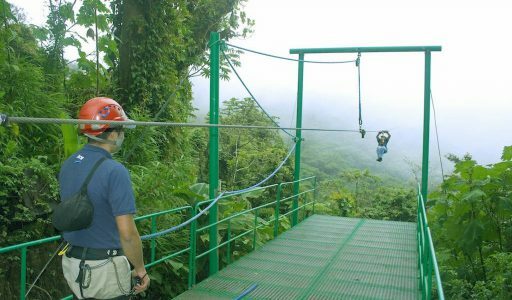 Price includes: Private round trip transportation, bilingual tour guide, drinks, breakfast, sky trek, sky tram, lunch & hot spring in Tabacón.